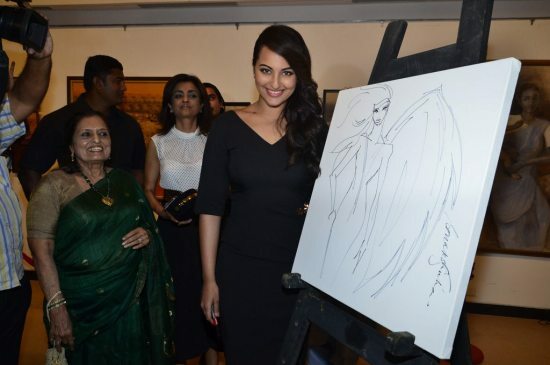 Sonakshi Sinha at shows off her artistic side. 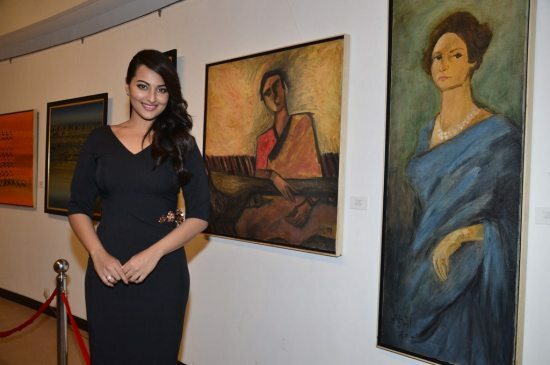 Bollywood actress Sonakshi Sinha attended the launch event of Prafulla Dahanukar, Art Foundation exhibition held at Jehangir Art Gallery in Mumbai on July 21, 2014. The ‘Lootera’ actress appeared absolutely gorgeous in a black Nikhil Thampi outfit. The voluptuous lady sure knows how to show off those curves! Not many know that Sonakshi had started her career as a fashion designer and designed costumes for movies like ‘Mera Dil Leke Dekho’ in 2005 and also walked the ramp at the Lakme Fashion Week in 2008 and 2009.